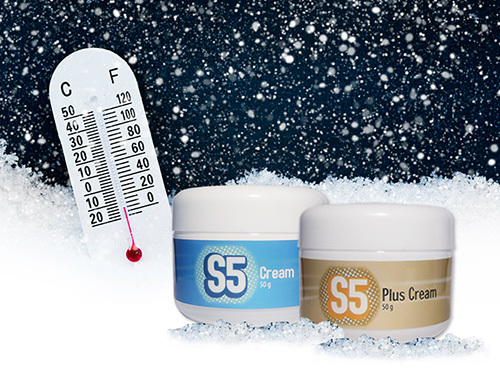 A lot of people started back on treatment with S5 Cream after our big announcement of its return. Encourage you to check out the article and familiarize yourself with the science, and why the two products are such a big deal. In the meantime, we get a lot of questions from users about how to properly apply S5 Cream or S5 Plus Cream to hair-bearing areas. The process is pretty simple, but there are a couple tricks to getting it on the scalp without getting onto too much of your hair. Likewise, using as little of the solution as possible so those jars last as long as possible. Is it Necessary to Refrigerate S5 Cream? First off, this totally is not mandatory, but if you want your jar to last longer, feel free to refrigerate it. Its shelf life is about a year at room temperature, but everything “cooled” stays “fresher” so I’ve always kept mine in the fridge. Or at least I’ve kept my “Jar 2” and “Jar 3” refrigerated, while I use Jar 1 in the bathroom. You may also find that keeping your “current” jar at room temperature will help it spread on warmer and subsequently go clear on your skin faster than a refrigerated solution. 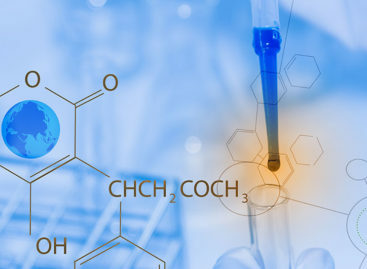 S5 Cream is in the group of “antiandrogens”, or more properly: “androgen blockers”. This puts it in the class of hair loss treatments which work best for stopping hair loss. As a result, this is an outstanding treatment for people who are trying to maintain. Following this thought to its logical conclusion, this means a lot of guys (and gals) who use it may have a full head of hair. Or at least a bunch remaining. So how do you get a cream / lotion onto your scalp when there’s a bunch of hair in the way? As mentioned, the process of how to apply S5 Cream is very simple, but it takes a little practice. 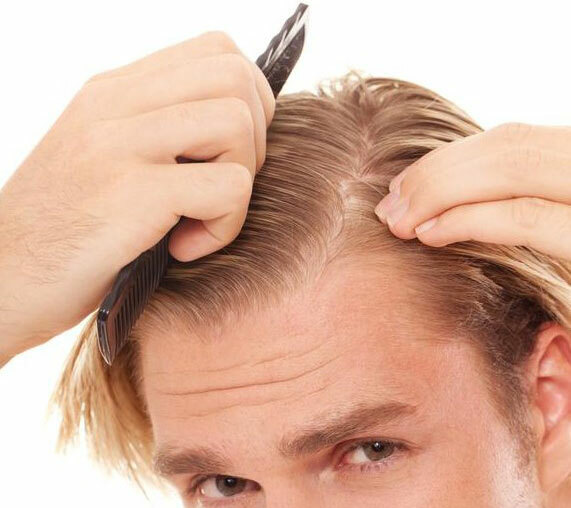 First take your hand, or a straight-comb, and create a part on the farthest edge of the area you wish to treat. In my case, I created a part on the left side of my head where my hair changes from “going across” my forehead, to “going down” the side. Right there at that corner, since I tend to thin across the top-middle. Here you will only need a small amount. As you try this a few times, you’ll figure out exactly how much you need. I’m going to repeat this several times, so here’s the first mention: You only need enough cream to get a microscopic-thin layer of the solution onto your scalp skin. This is where you’ll know if you need to dab more, or less the next time around. If you can make it all the way up the part with an ever-so-small amount, then mission accomplished. 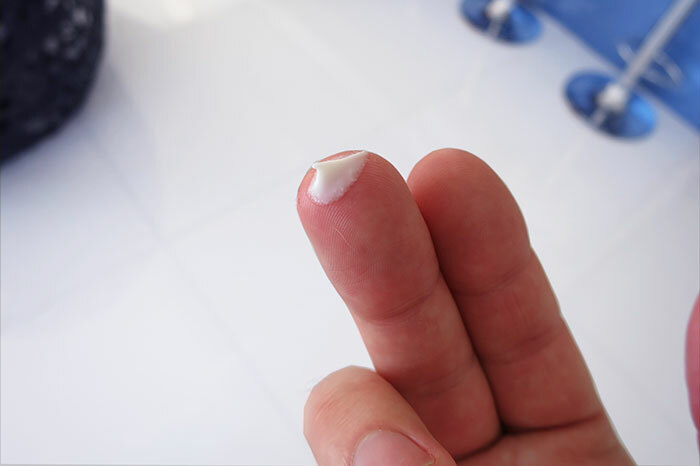 Remember, you only need a micro-thin layer of cream to get onto the skin, and you want to make as little contact with the hair on either side of the part as possible. Just because it may be more difficult to style your hair. Pro Tip: After applying the S5 cream to a thin line up your scalp (on the part), it will absorb and spread either direction a quarter to half-inch over the next hour or so. This means you don’t need to make another part every millimeter across your scalp. You can select an area a decent amount away for your next application. 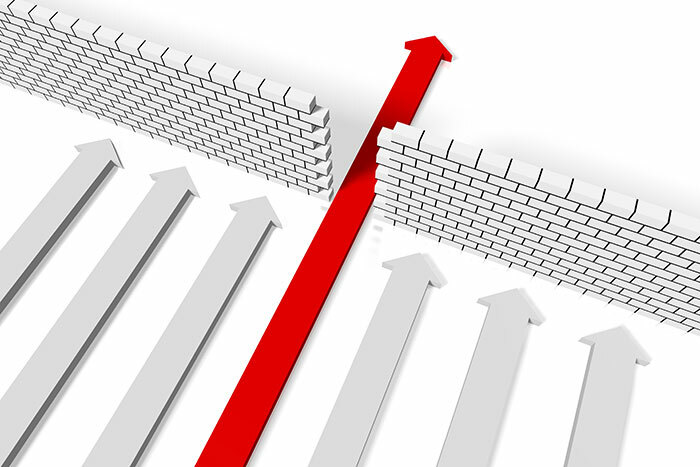 Just visualize that thin line you’re applying, spreading either direction on its own. A little goes a long way. You can continue this process across the top of your head when you apply S5 Cream, until you reach the other ear. You likely will not lose hair in the 2-3 inches above your ear, so going from “corner” to corner should be sufficient. This is just something that I decided was a “thing” over the 10 years I was using Topical Spironolactone. Half joking, but half completely sincere here. I have no idea if it has any basis in science. In my OCD paranoia about losing hair, I eventually decided that the onslaught of androgens somehow starts at the forehead and moves its way back. I noticed that hair always starts thinning at the hairline, and becomes less prominent the farther back you go. So in my head there was significantly stronger androgen activity along the hairline than anywhere else. For this step of the process, I simply applied a very thin layer of S5 Cream across my hairline, just getting the cream to cover the bottom of the hairs in the front quarter-inch of my hairline. How many times a day should you apply S5 Cream? As per talking to Dr. Richard Lee years back, Topical Spironolactone seems to have a topical effectiveness period of about 12 hours, so applying it twice a day is necessary. Of course you can opt to apply it once per day just to get some benefit from the treatment – if you want to start small and pace yourself, or if you’re using other treatments and just want to add a little kick. It has always been my mindset not to throw the kitchen sink at something that needs to work for 20+ years. 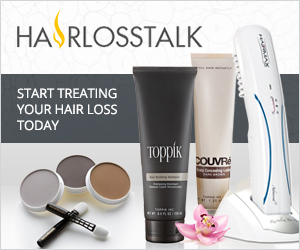 Treating hair loss falls into that category. So I have always started small and evaluated my progress every 6 months or so. I can always add more. What I can’t do is add more if I’ve already been throwing everything onto my scalp! 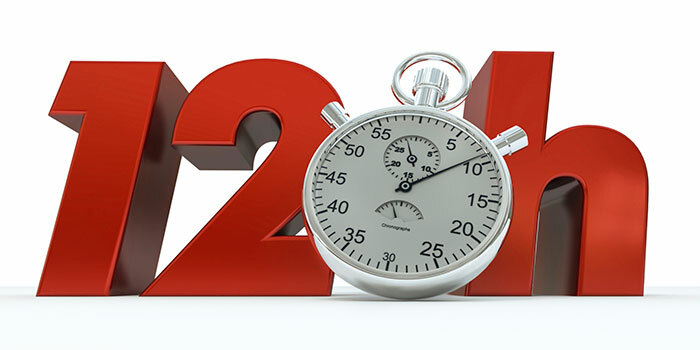 If you decide to do twice-per-day applications, the first obvious application time would be immediately after a shower. You can feel good about this as well because the skin is significantly more absorbent after a shower than any other time of day. If you blow-dry your hair, you can experiment with applying it before, or after the blow-dry. I personally applied it while still wet, and then blow-dried my hair. I noticed that the solution seemed to fare just fine through a blow-dry, and it even “heated things up” for better absorption. The only possible downside to this is that blow-drying can tend to spread it into your hair a bit more. Especially if you’ve used too much. So do some trial and error and see what works best for you, but don’t worry that taking a blow-dryer to it after applying it will render it less effective. This seems like the next most logical application time of day. When your hair is dry and you don’t care how it looks for a solid 12 hours. As you get better at applying less and less (a little goes a long way), you’ll have fewer issues with residue. And you’ll get used to that smell. That’s the Spironolactone. 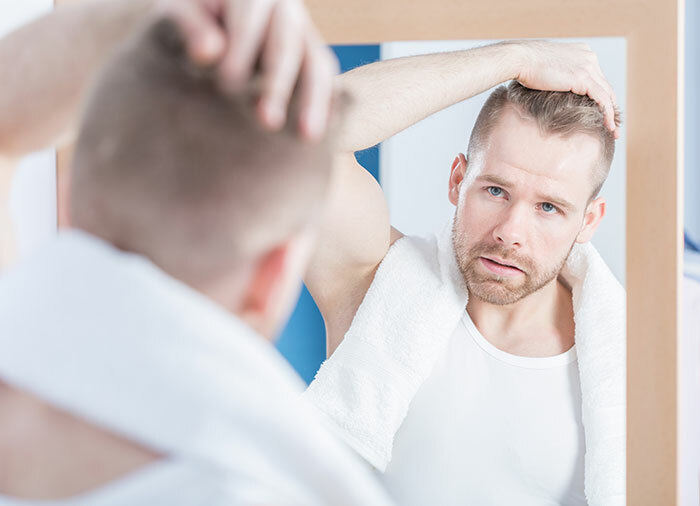 Every time you smell it, know that you’re fighting hair loss with something extremely potent and effective. That’s a peace of mind very few people get these days. So how do you apply S5? Any other questions? You can ask them in the comments below. We will answer as quickly as possible! 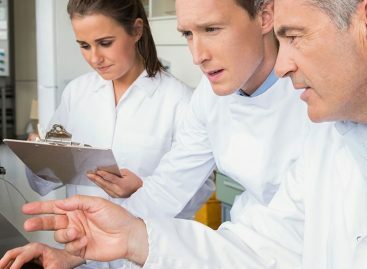 guifo, I don’t have the reference handy but Dr. Richard Lee has stated that the best way to use both products is to apply Rogaine first, wait 10 minutes, and then apply the S5.